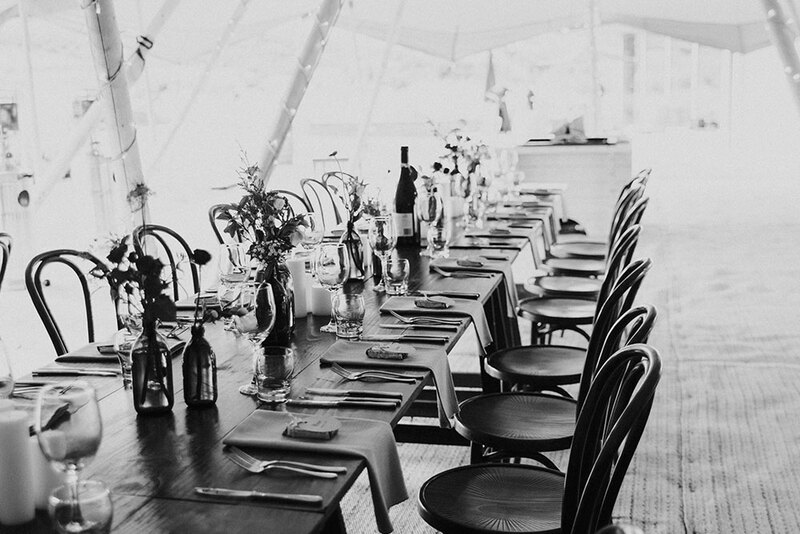 Our modern authentic Nordic tipis are beautifully crafted canvas and wood. Designed in Sweden to create a truly stunning space which is both stylish and chic. These giant Nordic tipis are made in ‘Sune’ Sweden and are based on the early nomadic tipi or teepee used by the ‘Sami’ people. 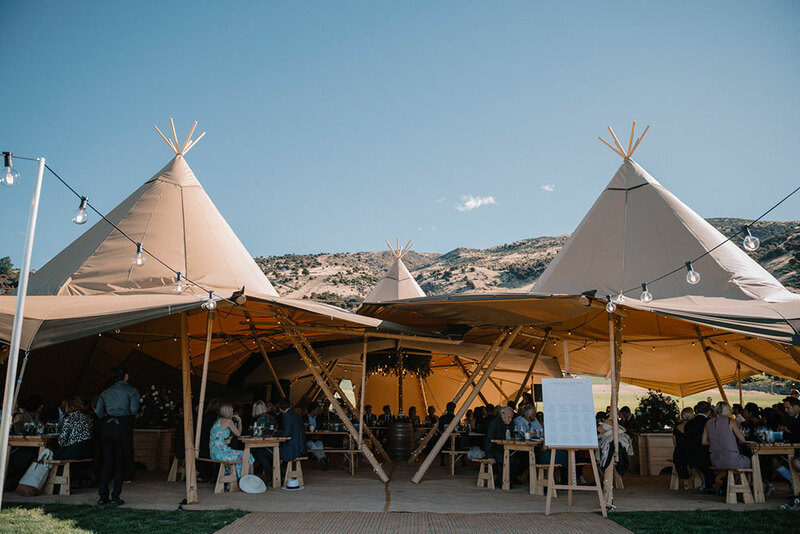 Lifting the sides of these amazing tipis is the unique design which enables them to fit together, building large stunning and very practical spaces to suit any event. Chat with us. 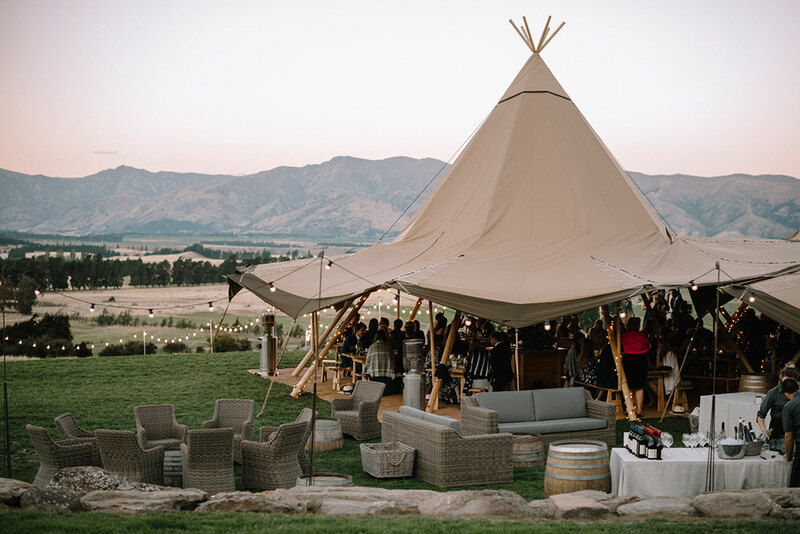 Gather & Gold ltd now have 6 giant Nordic tipis and are the largest tipi hire company in the South Island of NZ. 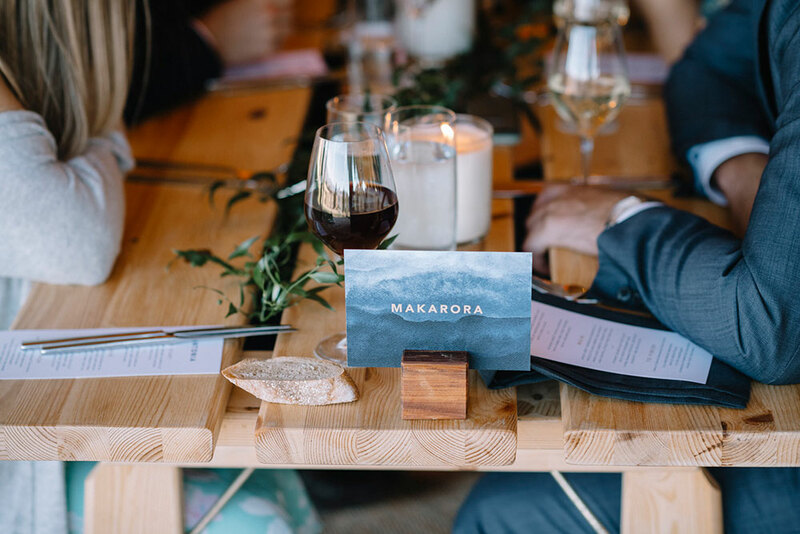 We have an evolving inventory of finishing touches that work beautifully with the tipis from furniture and lighting to heaters, bars and styling items. A single tipi with sides up is the starting point. Perfect for events and celebrations of all types rain, snow or shine. Joining these structures together is where the magic really happens, creating unique, atmospheric and visually spectacular spaces up to around 70 guests seated. The large cosy and evocative space is perfect for socialising and celebrating. The fire brings another element, which connects us to nature, story telling around the atmosphere it creates. The height offers a natural chimney effect which works in hot conditions by drawing cooler air in and on cooler days allowing the fire to breathe. Interiors are warm and intimate with sides down or light, chic and airy with the sides raised. 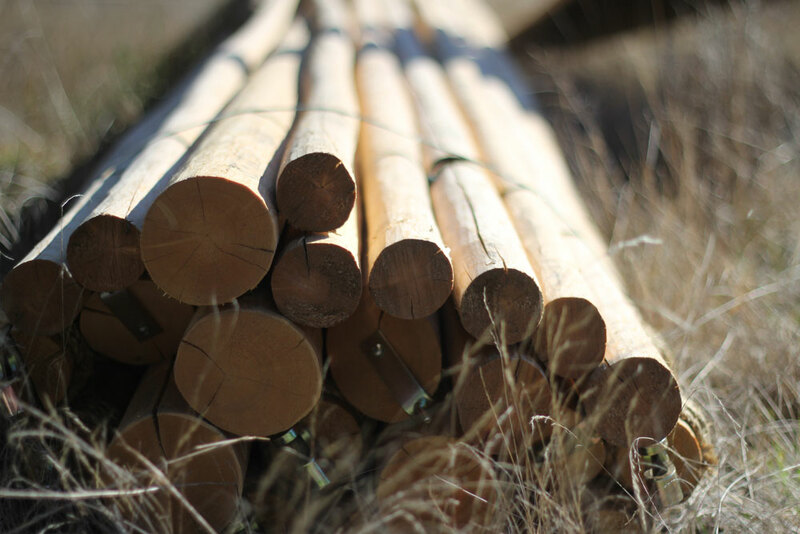 Our tipi poles come from Sweden, where they’ve been growing at altitude for many years. They are heavy and very strong perfect for our tipis which are structuraly tested for wind and snow loading.